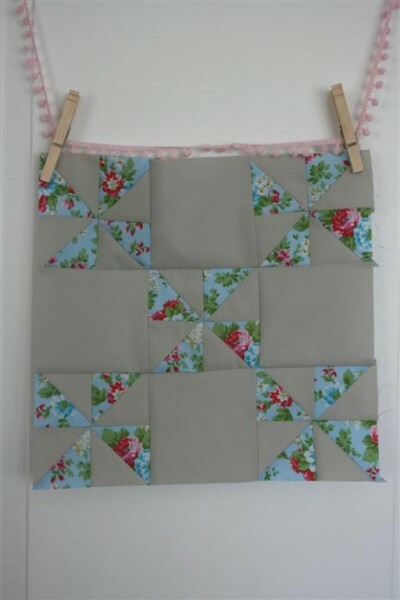 One of my goals for 2012 (and I’ll share the whole list on Sunday) is to spend 10-15 minutes per day sewing. I figured I might as well start with an unfinished project begun last year. I made the first five blocks for this quilt along and then felt that I’d chosen the wrong fabric for the quilt, mine having some large scale prints and the collection used by the bloggers being full of small scale prints. 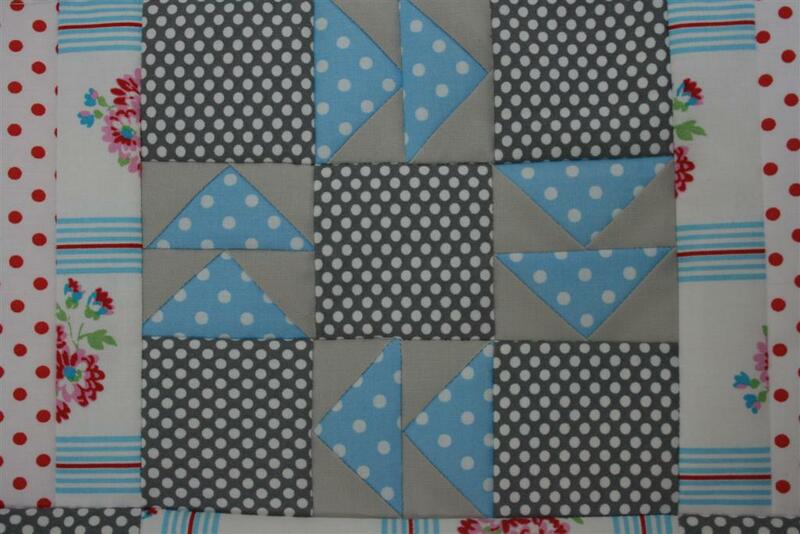 I’m loving the gray and aqua in this block. Like a bit of happiness poking through Utah’s gray skies (which have been much sunnier this winter, but we’re also missing snow). This last block was funny. I worried as I was cutting and making it that I would hate it, but it turned out so great that it’s my favorite! Pleasant surprise. Those bright blue flying geese make me happy. One pattern is no longer available and two I’ve opted to skip. I’m half way there, with eight blocks finished. I have five more to make and will then choose three favorites to make a second of. 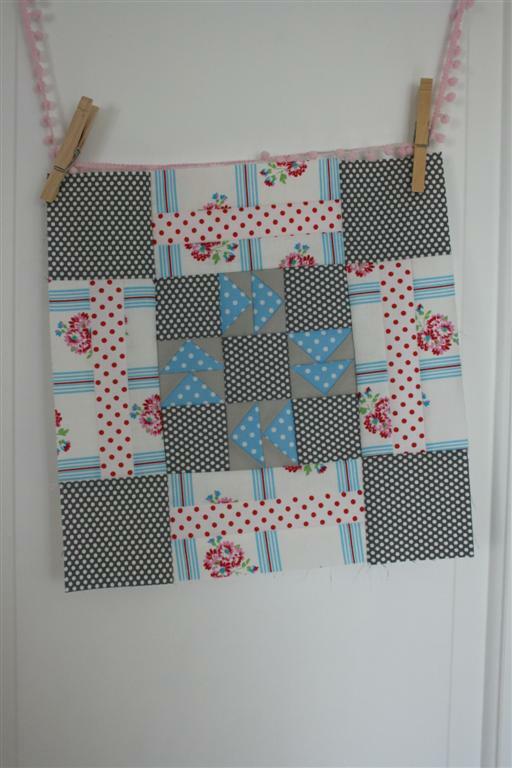 Oh, it is nice to be sewing again! P.S. I got my sister the Farmer’s Wife book for Christmas and I think we’re going to quilt along together on that one. We’re both really tempted to sign up for an online sewing class together. 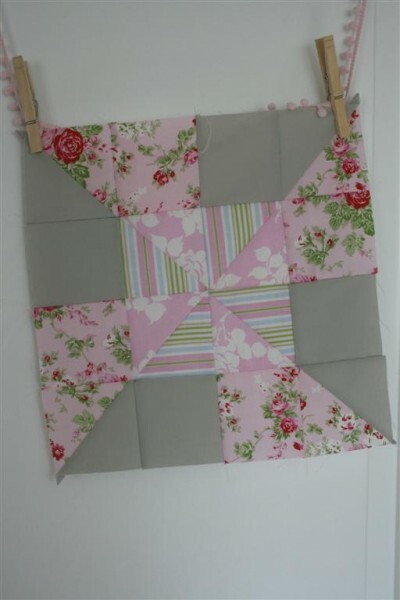 I’ve also got another blogger’s quilt along that I’m planning to start. But I’ve got to get this one done first. Should be fun!